Thanks to the success of its predecessors, the iNOVAi 5.0 looks to remain at the capstone example of Bettinardi craftsmanship and ingenuity. Classic features that remain from previous iterations are the bi-metal construction, black anodized finish, and F.I.T. (Feel-Impact-Technology) Face. 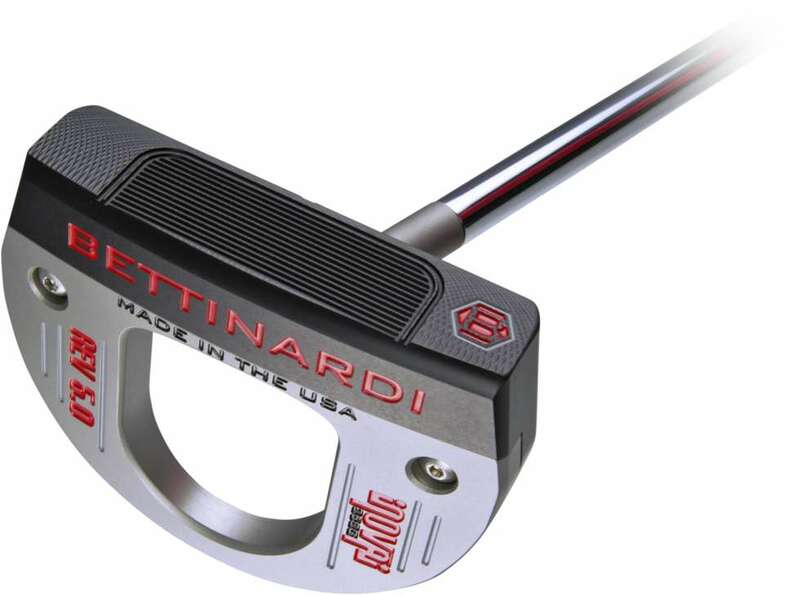 The most noticeable new design characteristic is the hand polished 303 stainless steel weight which now creates a rounded mallet appearance, only adding to the steady strike attributes while increasing MOI numbers that this family of putters are known for. The iNOVAi is available in both heel shafted and center-shafted options, and all iNOVAi models come with a special MOI headcover and matching deep-etch Lamkin grip in standard or jumbo sizes.